Marriage is under attack today, and as Christian wives, we need to go to war and fight for our marriages. The best way that we defeat the enemy is by using the Word of God as our weapon, and daily praying Scripture over our husbands. God’s Word is powerful and sharper than any two-edged sword, and as we pray Scriptural prayers for our husbands, we are praying God’s power right into their lives. There is no better gift you can give to your husband, than the gift of faithfully bringing him before the Lord daily in prayer, claiming the power of God’s Word in his life. 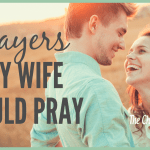 Praying for your husband will help you to see him as the Christian man that God wants him to be. I have found that when I pray for my husband, any negative feelings that I have had towards him, or any focus on things I feel he needs to change, just kind of disappear from my mind. It’s hard to hold grudges or stay angry at someone when you pray for them regularly! Prayer will turn your heart toward your husband as you ask God to bless him and work in his life. 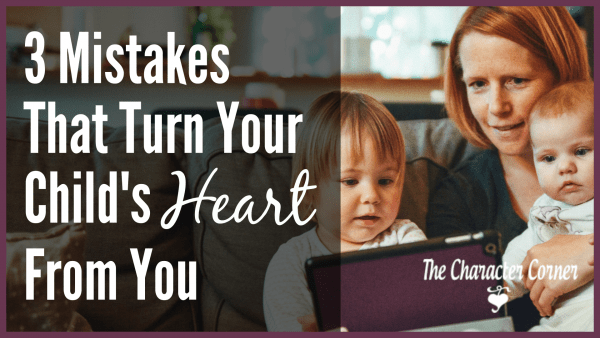 Think what a difference that can make in a struggling marriage, and how much stronger it will make a marriage that is already seemingly strong. 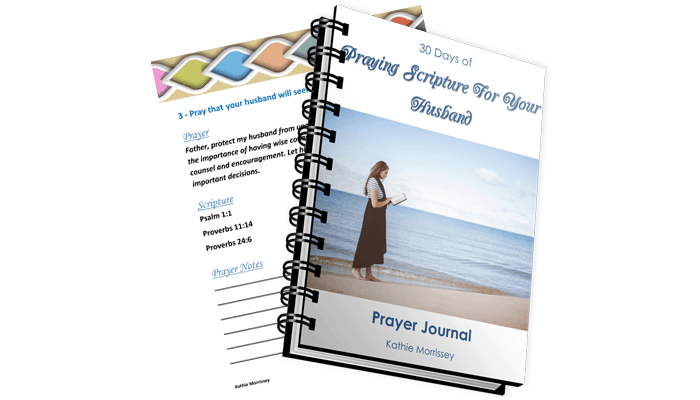 Today I’d like to invite you to join us for this prayer challenge: 30 days Of Praying Scripture For Your Husband. 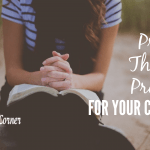 This prayer challenge is totally free and will include a daily prayer based on Scripture, as well as additional Scriptures to reflect on and personalize into prayers for your husband. If you join, I will send you a weekly email with the daily prayer challenges for the week, and then additional weekly emails for the 30 days. My prayer is that you will join me for this 30 day challenge to pray Scripture for your husband, and as a result see God do some wonderful things in his life, and in your marriage. I have created a simple prayer journal to go along with this challenge. 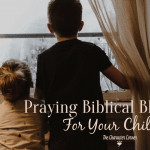 I believe it will help you to get more specific, as you journal your own personal thoughts and prayers for your husband, as God impresses them on your heart through reading the Scriptures given. 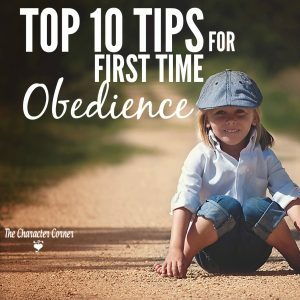 What a blessing it will be to go back later, and read those prayers you wrote, and see how God answered them and worked in your husband’s heart and life. This is a downloadable journal. 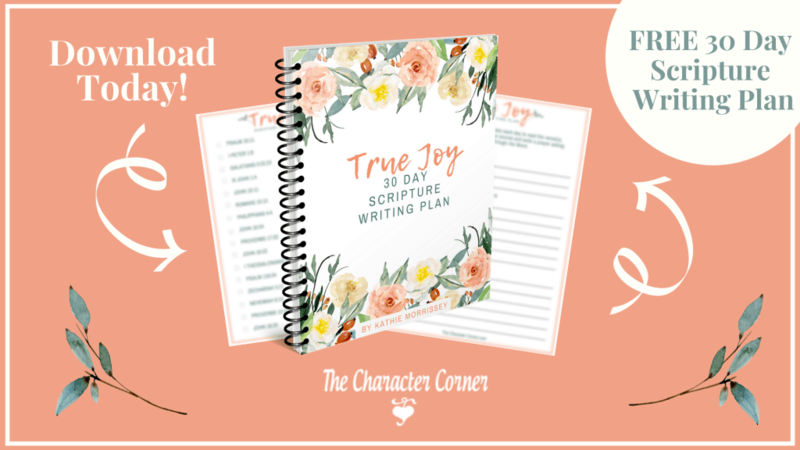 *Please note: The journal is an optional part of the challenge. I put it together to help this challenge be more meaningful to you. 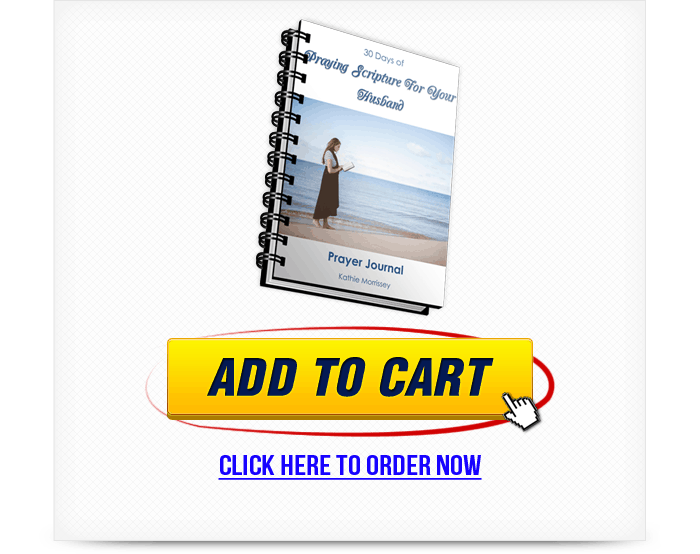 The daily prayers will remain FREE with or without purchasing the journal. Thank you Kathie looking forward to it! A few ladies in Japan will be joining in with you! Thank you for the challenge. It is perfect timing for me. I’m sharing this! You’re welcome, Sheryl. Thank you for sharing!